Google Changes Language Of Nexus / GPE Device Software Update Policy To Say Waits May Be Longer "Based On Your Carrier"
Based on your carrier, it may take longer than two weeks after release to get an update. We do not know if this is merely a safety net to avoid the ire of customers in the case of things like the Nexus 7 2013 LTE and the whole Verizon debacle, or if this is actually a forward-looking change in policy that could affect new devices like the Nexus 6 and Nexus 9 LTE. The same language was also added to the section for Google Play Edition devices. Let me be clear: anything beyond this point is, by necessity, speculation. We do not know why Google changed the language in this document or how it intends to act based upon that language, if at all. But we can take a stab at it. One technical point very much worth making here is that even in the event one of the carriers does withhold an update to a Nexus or GPE device (say, based on the installed SIM card or MDN), there's nothing they can do to stop you from sideloading an update package or flashing a factory image yourself. Carriers flat out cannot control whether or not you will be physically able to update your device, because once the files are out there, anyone can use them. A Nexus 6 is a Nexus 6 is a Nexus 6 (and a Nexus 5 / 7 LTE / 9 LTE etc.) as far as the firmware is concerned. So no, AT&T and Verizon won't be able to fully stop your Nexus from getting an update unless they stop all Nexus devices the world over from getting the update, and this basically seems very unlikely. What they can do, though, is withhold over-the-air distribution of a software update to their customers (regardless of whether you bought the Nexus 6 from the carrier, Google, or Motorola). The most likely way such a scenario would play out is if the carrier spots an issue in its own testing of the update before it goes live. 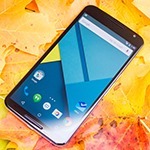 If Verizon finds an issue with a new Nexus 6 build, for example, that breaks the MyVerizon app or something, Verizon could tell Google to hold the update for Verizon SIMs/MDNs/IMEIs/whatever until the issue is fixed, and if it's an OS issue, a new build then distributed (which would go to all devices, not just Verizon's). If such a scenario were to play out, Verizon users wouldn't truly be "stuck," though, so long as the OTA actually gets released somewhere. After finding the OTA link, Verizon users would be able to flash an update without issue. Or, if Google were to post a factory image file for an update, Verizon customers would be free to utilize that as well. The only thing Verizon can do is suspend OTA distribution of the update to people on its network. From a QA standpoint, this is probably a good thing overall, because no one wants to end up with an update that in some capacity breaks their phone or tablet. It's also probably a compromise Google has made with carriers in the US (and possibly elsewhere) to encourage them to sell Nexus phones while still allowing Google overall control of the software and update process. So, in all likelihood, this new wording refers to a change in policy that probably won't do anything more than cause you minor inconvenience, should Google ever have to resort to putting a hold on an OTA for a certain carrier. It could be a nuisance if a particular carrier becomes notorious for constantly delaying OTA distribution (COUGH VERIZON/AT&T) and users are perpetually having to sideload updates on their own, but it would be just that: a nuisance.